Our nappies are called pocket nappies. 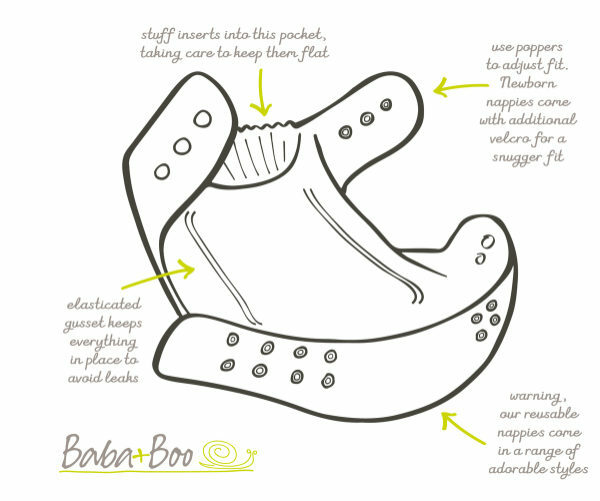 At the back of the nappy, there is a pocket, which is where you put the inserts. 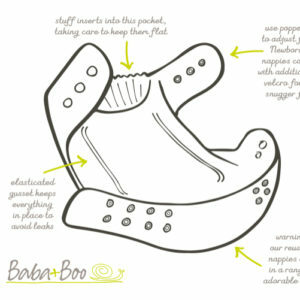 Each of our nappies come with 2 bamboo mix inserts, which you put into the pocket and this makes the nappy absorbent. When stuffing the inserts into the pocket, ensure that they are flat. 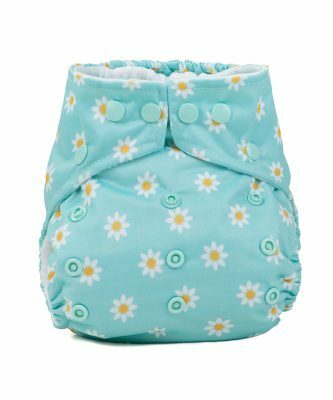 One size nappies are also known as birth to potty nappies. It is rare these nappies fit straight from birth. 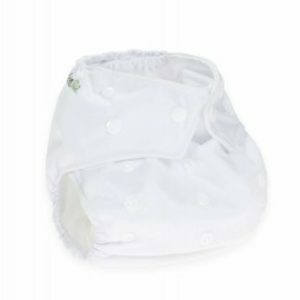 If you want to use cloth nappies from birth, you are best to check our newborn nappies. 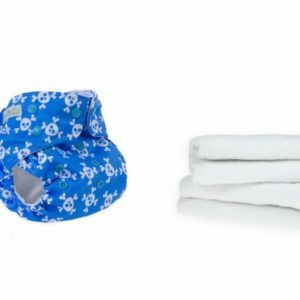 These nappies fit from 3.5kg up to potty training. Some mums use disposables from birth until these fit their babies. When your baby is small, you will only need one insert and this should last you, 2-3 hours. 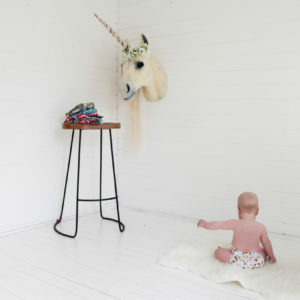 Once your baby starts to grow (which is always too quick!) 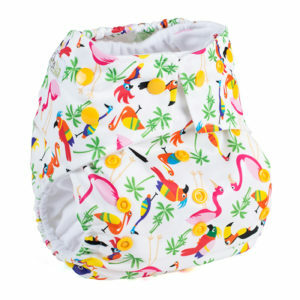 and you find the nappy is not lasting as long, this is the time to add the other insert. 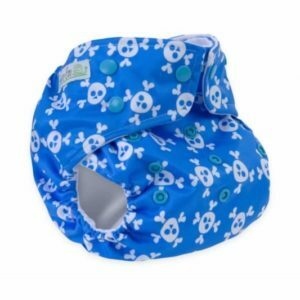 This will ensure the nappy lasts longer. 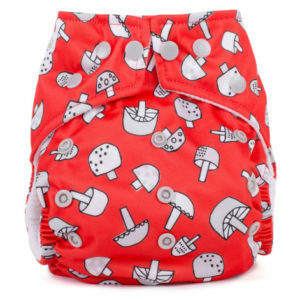 You will find our one size nappies are really easy to put on, as they have popper fastenings, which makes the nappy really secure. These poppers come into their own when your baby becomes a toddler. They have a knack of learning how to take velcro nappies off! Gusset which helps keeps the poop inside the nappy and helps with those poo-explosions.